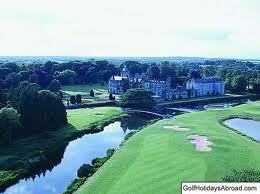 Can you break the 30 point barrier from the blue tees at Adare Golf Club? Open team of two competition. Teams of any pairing can compete in our annual Autumn Pair Competition. 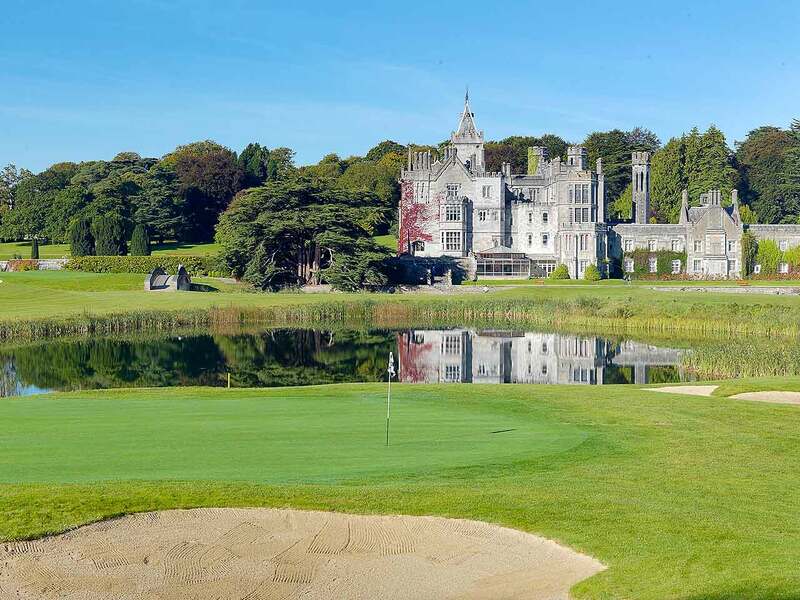 Tee times are available through email at golf@adaremanor.com or on the phone at 061-605200. Entry fees €50.00 per player. One of Ireland’s best courses plays host to their Open Week next week as the Ballesterous course at The Heritage stages some superb competitions from Monday 22nd – Friday 26th July. 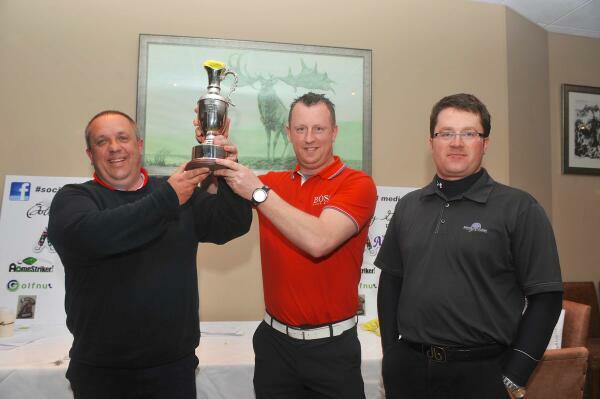 Golfers will compete for prizes worth over €3,000 with sponsors ak Golf, Colgan Sports, Milne O’Dwyer, Connolly Red Mills and Capricorn Properties Ltd providing many of them. The Ballesterous course at The Heritage remains one of the finest courses in the country along with being one of the best maintainted. I was lucky enough to work here for 15 months and I thoroughly enjoyed every minute of it, the 9th & 18th holes being one of the many highlights both running alongside each other on either side of the huge lake in front of the majestic clubhouse. Take my word for it that this is a superb golf course but check it out for yourself at the same time! The entry fee for the Singles competitions is €25 per person while the team entry fee is €100 per team of 4. For bookings call 057 8642321 or email golf@theheritage.coim, you can also follow The Ballesteros course on twitter (@TheHeritageGC ). Enjoy your golf next week after enjoying watching it this weekend!! I’m sure most of us are looking forward to The Open Championship over the next four days (http://bit.ly/OpenPreview2013), with probably no golf scheduled for most of us apart from watching it on television! With that in mind your next port of call could well be taking part in Open Week at Tulfarris Golf Club, which takes place from Monday 22nd July. With all sort of formats and competitions going on and prices from as little as €10 per person there are few better places to be next week to enjoy the current great golfing weather! For something that started from a fairly random Twitter conversation, the first ever Social Media Open brought together 40 people (golfers!) with many of them having not met each other until the start of play on Day 1. The idea for the tournament evolved through various Twitter exchanges in October when it was decided to stage an event for like minded individuals, many names were bandied about but the Social Media Open was settled on……….to avoid getting sued one of the many reasons! 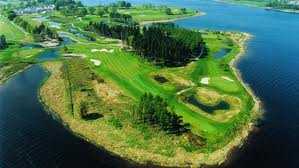 Ireland soon became the popular host country with many courses considered and recommended to be played. 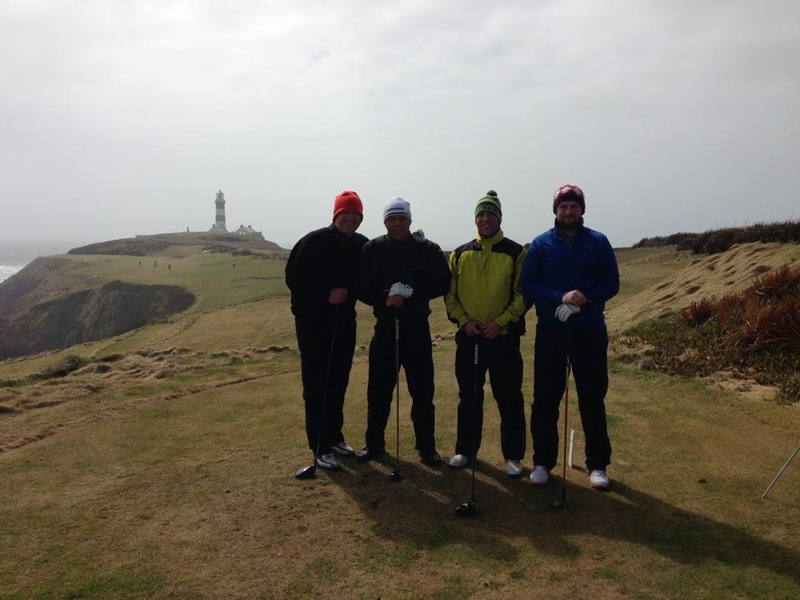 The Old Head Golf Links was probably the common denominator in terms of what course should be played for the Final Round so Yours Truly set about putting an itinerary together that took in 4 super courses and ended up in Kinsale to play the Old Head as the crescendo to the Inaugural Social Media Open. 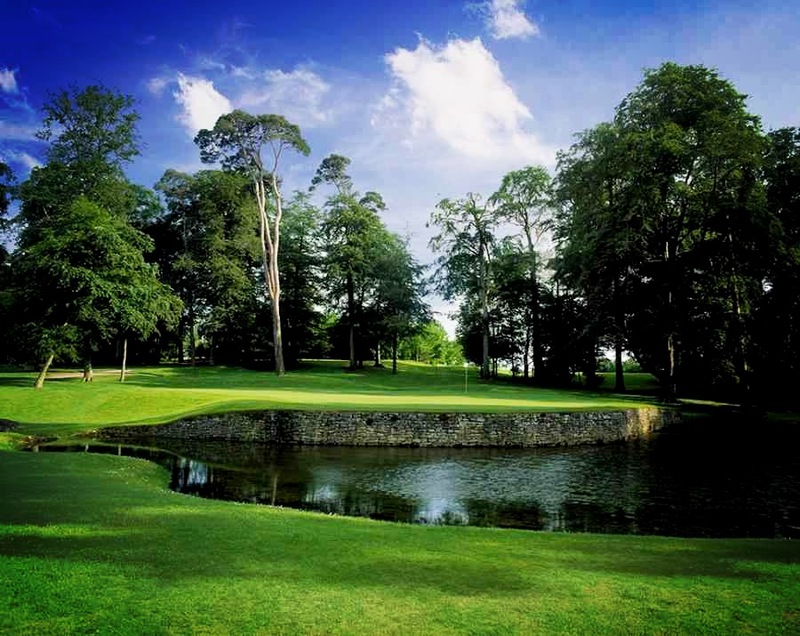 Mount Juliet for Day 1, Castlemartyr for Day 2, Adare for Day 3 proved to be popular choices and also feasible in terms of logistics as well. 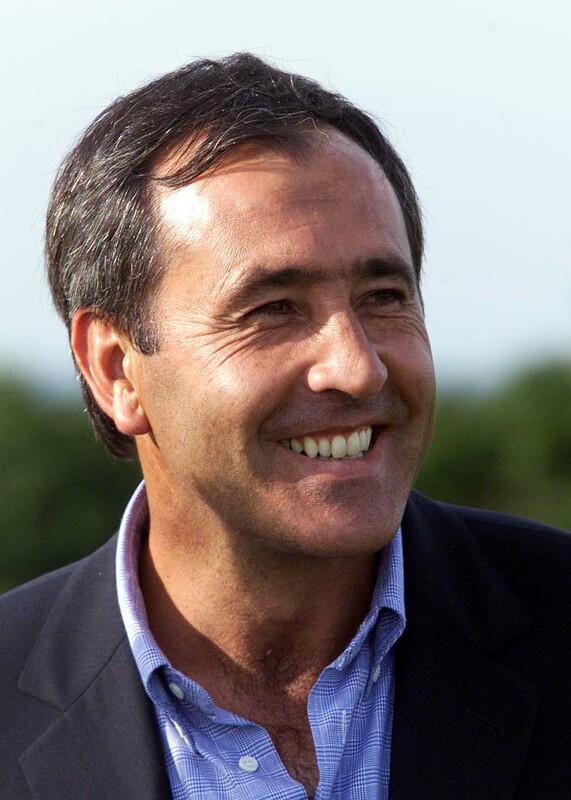 There were many dates considered, the summer seemed logical but a moment of pure inspiration from Tony Regazzoli, my playing partner for the week, suggested we should have it during US Masters week – golf during the day, watching the year’s first Major by night with copious amounts of social lubricant! 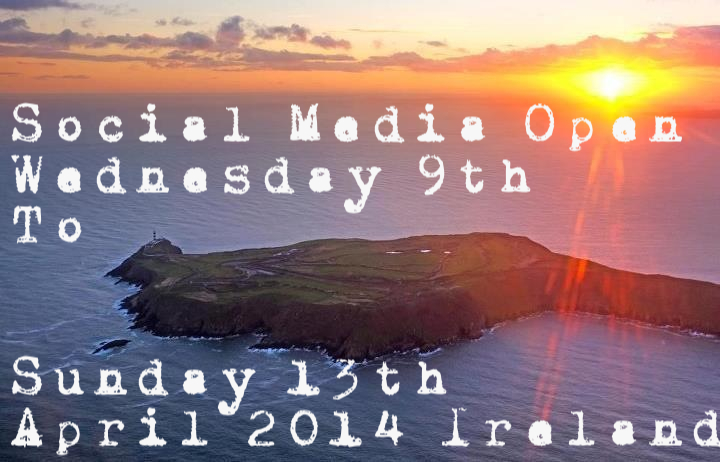 So, the Social Media Open was born! Next step at that stage was getting teams to play in it. The tournament itself was envisioned as being fairly small to begin with, 8 teams and 16 players the initial target. When entries opened up it soon became apparent that there would be more to accommodate and when all was said and done we had 20 teams and 40 golfers to fight out over 4 rounds during Masters week! Many teams from the UK entered along with plenty from all over Ireland including the People’s Republic of Cork, the unofficial host county as Kinsale would be home to most of our motley crewe for 4 nights. Some of the UK teams and some of the lads from further up the country decided to stay the night before so there was already a good atmosphere at Mount Juliet with part of the field playing a practice round on the Tuesday and then meeting up for a pint and bite to eat before play began in earnest the morning after. The somewhat dubious honour of hitting the first ever tee shots of the Social Media Open went to the team of Kevin Connolly and Declan Devine who were paired with Steven Ring and Andy Hopkins for the first 2 rounds. From what transpired from the first tee shot onwards, it went pretty well for the boys from the North! The best scores on Day 1 were from our inaugural starters – Kevin and Decky shot a magnificient 48 points which was 8 shots clear of Jamie Hore and Mark Meade and also Derek Ramsey and Paul Foley. Most of the other scores were under the 40 points mark so this left a lot of the field playing a serious game of catch up already. The atmosphere in the Clubhouse afterwards was great and those who stayed following the conclusion of play thoroughly enjoyed the fantastic food in the Presidents Bar at Mount Juliet. Well and truly fed and found, the majority of the field set off for the nearby town of Thomastown to enjoy the local tipple in O’Hara’s Pub, for some the rest of the night was a bit of a blur but so far so good – this was only the first day though! The field were all due to make their way to the majestic Mount Juliet House for breakfast before departing for Castlemartyr, although the majority of the Dublin contingent preferred the ambiance of the Presidents Bar once more for the most important meal of the day. The cavalcade of cars left Kilkenny soon after breakfast, headed down the M9 motorway and then the N25 on the way to Castlemartyr. More lovely weather accompanied us for the second day’s play, although it did not look promising on the trip to the course with the clouds gathering around Waterford. As we came over the Cork border, however, the skies had cleared and the sun was out. Kevin and Decky’s opening score of 48 points was matched on Day 2 by Paul Foley & Derek Ramsey with the leaders from the first day keeping up their good form this time with 44 points. Other notable scores were from PJ Owens & Ray McLoughlin and Denis Murphy & Fergus McGrath with 45pts, John Deasy & Podge Greaney 44pts, Colin Shanahan & Peter Redmond and also Declan Tierney & Darren Keane both with 43pts. Many other scores in the 40s resulted from the kind golfing conditions. As play finished up on Day 2, Kevin and Decky led the field by 4 but many teams were well off the pace and likely to be fighting out the minor placings, due to the great scoring from the leading teams. All roads soon led to Kinsale then and the White Lady Hotel, which would be the home for much of the field for the next 4 days. Tierney’s Guesthouse and the Rockview B&B took care of the overflow in numbers. Dinner, pints and the first round of the US Masters was very much on the agenda now as most of us settled into the Bar at the White Lady, unsuprisingly known as the 19th. The bus left at 9am on the morning on the third round with the majority of the field on board, no casualties from the previous night however as some made their own way to one of the finest parkland courses in Ireland. The weather was again superb and we were worried about sunscreen rather than raingear for the third day in succession. The field was now out in order of the leaders so it well and truly gave everybody the feel of a proper tournament. Once again Kevin Connolly and Declan Devine were among the best scores on the day, indeed they had the best round of the day with an impressive 45 points along with Conor Daly and Dermot Loughran. Next best was 42pts, posted by Jamie & Mark, Colin & Peter and also PJ & Ray. The lads would take an 11 shot lead into the Final Days play at Old Head, no lead is large enough on the cliff-side layout but it was a superb cushion all the same. 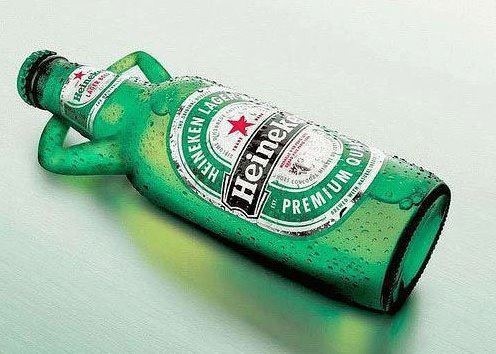 A bite to eat in the Clubhouse was availed of by many while the organiser made his obligatory trip to Pat Collins Bar and also the off-licence to stock up the bus for the trip back to Kinsale. The bus arrived in Kinsale around the 10pm mark leaving the guys to grab some food at the White Lady – great service all week there it must be said, and with The Masters on it was another late night while the “Rest Day” was being looked at as the one day that a sleep in could be had! Some of the guys went into Cork city to give one of our sponsors – Sober Lane – a bit of business with various Munster and Leinster fans in the group to watch the match and also get some of the golf in too, those pitchers of beer seeming like a good idea at the time! A lot of the field decided it was a day to relax so stayed put in Kinsale while some did play golf with Fota Island being the venue of choice. The only rain of the week came by on the Saturday which added vindication to the Rest Day theory, or was it just lucky?? The White Lady Bar for the early part of the evening and then Night Club were the venues for the end of the night’s festivities (some would call it craziness!!). 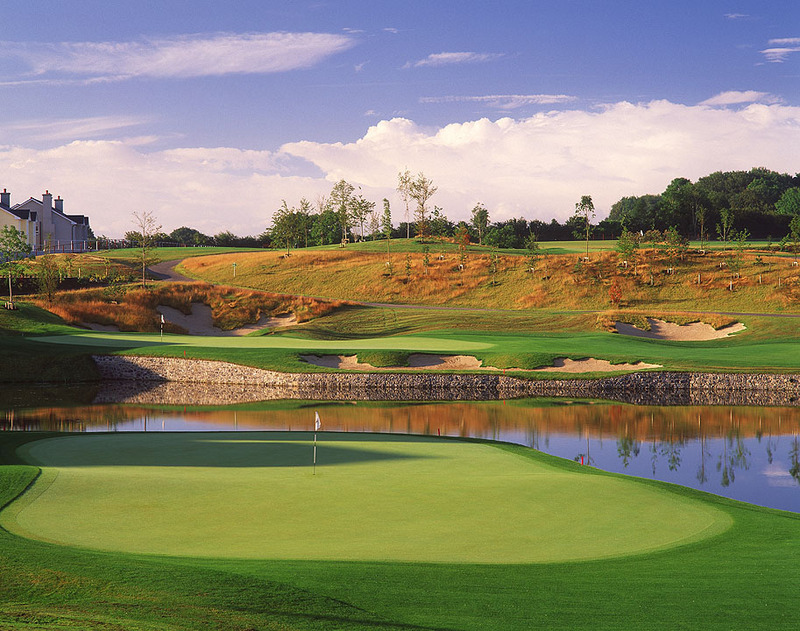 One of the most spectacular courses in the World lay ahead on the Final Day. 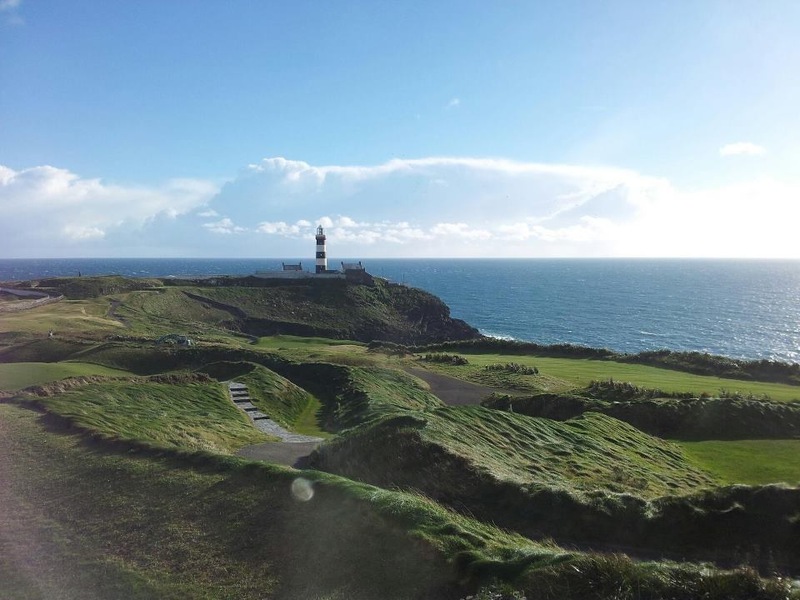 A wind of at least 30km/h meant that the Old Head well and truly bared its full set of teeth and provided a tremendous test for all the golfers, having played in nearly perfect conditions all week this was a daunting prospect that lay ahead of them. Some, I would think, were glad of the wind to clear their heads from Saturday night! Many caddies were availed of and they were invauable in giving the guys the correct line off the tee and ensuring, as much as possible, that the fewest amount of golf balls were lost! 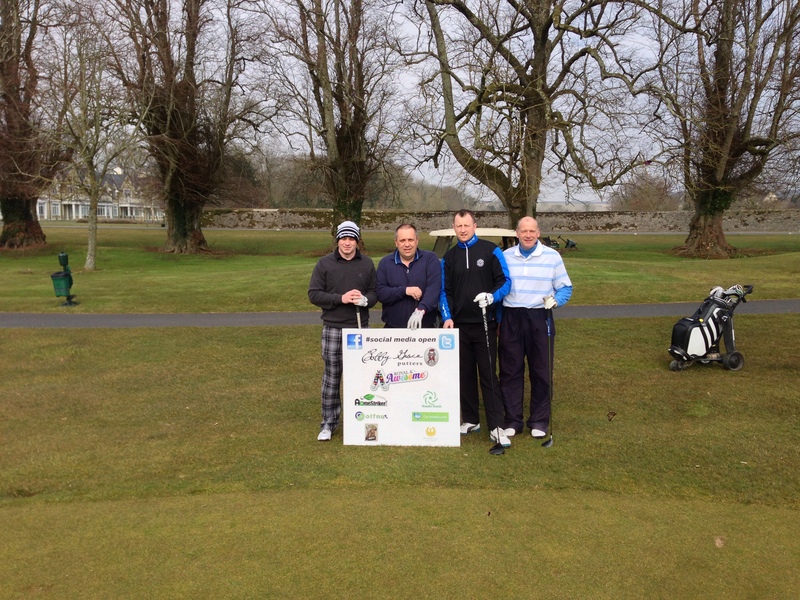 Only 1 team shot the equivalent of level par on the day, John Deasy and Podge Greaney! This was enough to catapult them up the leaderboard to 4th place overall having started the day in 12th. Their playing partners on the day, Tony Regazzoli and Tom Kennedy, posted a creditable 38pts to get them into 5th place from 11th starting the Final round. Michael O’Brien and Aidan McGurn matched the lads score of 38pts while there were only 5 other teams that shot in the 30s – Jamie & Mark, Denis & Fergus, Declan & Darren and also Chris Baron & Viktor Tingstrom. All the Teams got a prize which was great as it turned out and many thanks must go to our sponsors for this – Bobby Grace Putters, Royal & Awesome, Golfnut.ie, Peperina Bistro, MyCoverPics, The White Lady Hotel, Wunderbrush, Home Striker, Velux (Kevin Connolly), and all the Social Media Open venues – Mount Juliet, Castlemartyr, Adare & Old Head Golf Links – for contributing golf vouchers as prizes too. There were no Hole-in-Ones so the guys at PGE Golf did not need to give any of the field a trip to The Masters or some of their other wonderful prizes on offer. The winning teams received a Bobby Grace Putter each, the opportunity to come back and defend their title next year with Free Golf and, of course, the Grace Murphy Trophy! So, it was back to Kinsale and the White Lady Hotel for one last soujorn into the breach with what now was dear friends! Anthony, Roman and all the staff took care of us so well once more and our thanks go out to them for a great 4 days, and nights!! The Masters was another great watch that evening, and with John Deasy’s winning wager on Adam Scott the drinks were on him for a part of the night. We spent the next few hours in the White Lady Night Club although it wasn’t long before we were back in the Bar until the wee hours of the morning. It also has to be said that 4 teams confirmed their entries for the 2014 Tournament that very night in Kinsale as well, with plenty to follow in the coming weeks. Great to see how much the teams enjoyed themselves for our Inagurual Tournament! Like it never happened, the participants in the Inaugural Social Media Open made their respective ways home by planes, trains and automobiles the next day. Many of them surely coming right back down to earth with the stark reality that work beckoned the next morning! Some lingered until the afternoon, namely John Deasy, John Kelly, Mossie Ryan and Tom Kennedy, and they even sampled some of Kinsale’s finest food at the Fishy Fishy Cafe – a finer hangover cure I know not of. 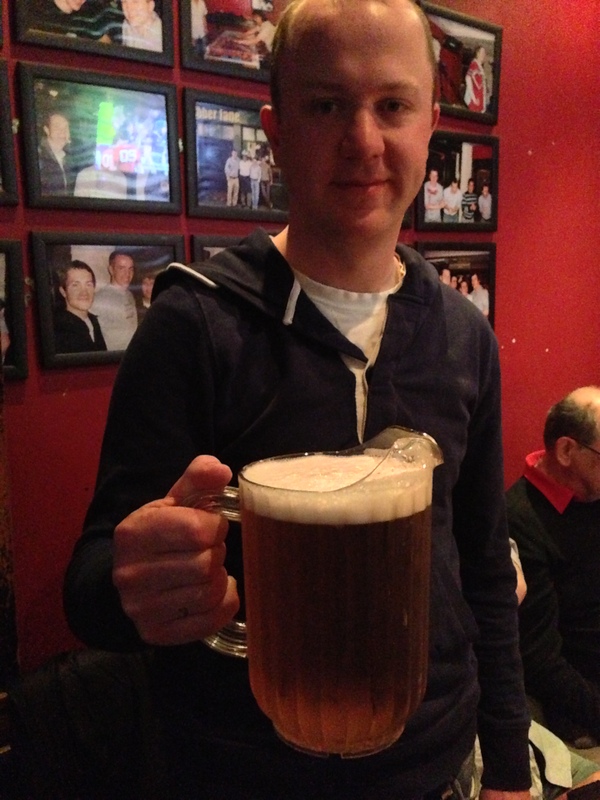 So that was the Social Media Open 2013, a fantastic few days playing some of Ireland’s best courses; drinking some of its best beer, wine & spirits; enjoying the craic like only Ireland can provide and watching some great golf from Augusta as our evening entertainment. 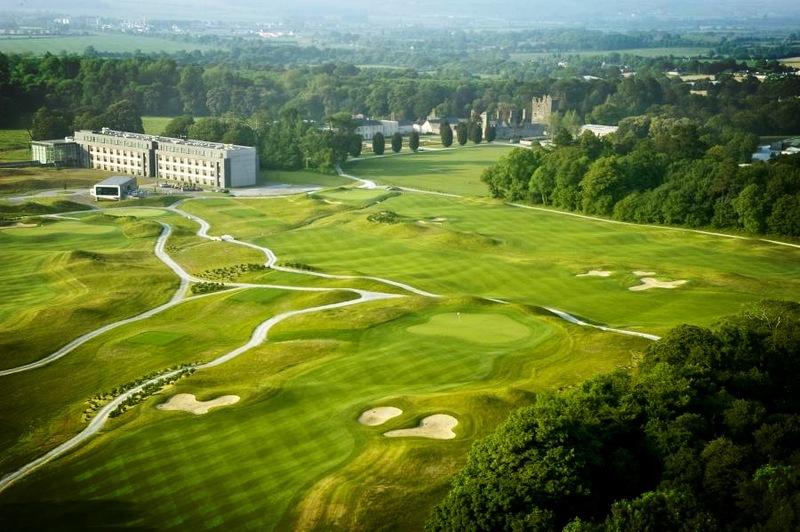 A huge thanks goes to all the staff at Mount Juliet, Castlemartyr, Adare, Old Head Golf Links and The White Lady Hotel, Tierney’s Guesthose and Rockview B&B for making it a tremendous tournament! 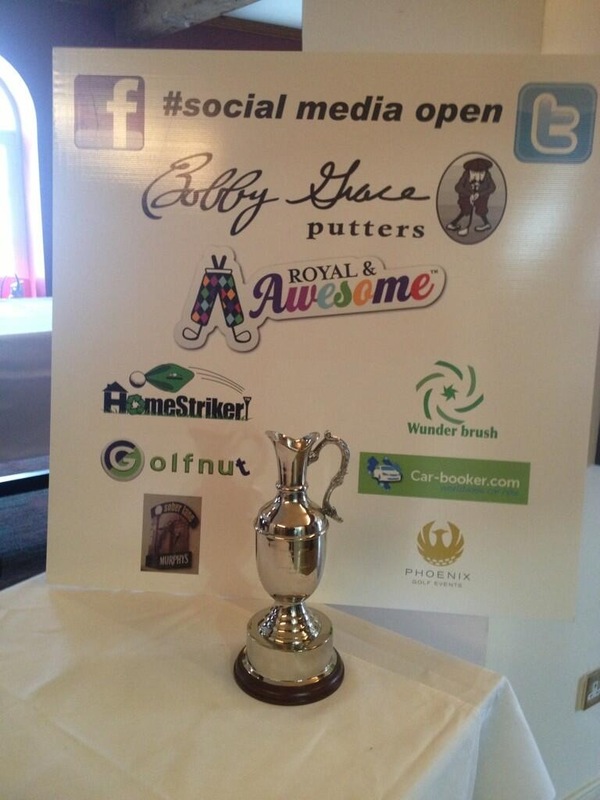 We can’t wait to see some old friends and make some new ones in April 2014 during Masters week again for the second annual Social Media Open. Hopefully you will be able to join us!